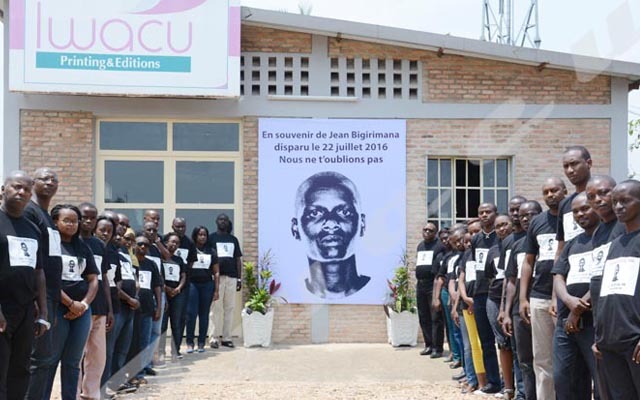 After a bicycle taxi driver was shot dead in the capital Bujumbura on 5 February, the ministry of Public Security refers to the incident as a self-defense. The association of bicycle taxi drivers refutes the argument. Pierre Nkurikiye, Spokesman for the Ministry of Public Security says the bicycle-taxi rider was killed by accident. Jonas Ndayishimiye, the bicycle taxi driver, was shot dead on 5 February, around 1:00 p.m. on Muyinga Avenue, in Rohero zone, in Mukaza urban commune in the capital Bujumbura. Pierre Nkurikiye says three police officers were ordered to control the movement of bicycle taxi riders who illegally ride through Bujumbura city. “Three police officers seized the bicycle but its owner-Jonas Ndayishimiye looked for the support from of his colleagues”, says Nkurikiye adding that his colleagues threw stones to the police officers and injured one of them. The spokesperson for the ministry of Public Security says the victim was killed by a stray bullet when the bicycle taxi riders tried to seize by force the gun of one of the police officers. “It was a self-defense”, he says. Pierre Nkurikiye adds that some bicycle taxi drivers have been arrested including the police officer who shot the victim, for investigation. “We are waiting for the court’s ruling which will state who is guilty and who is not,” he says. According to the witnesses, the victim was stopped by two policemen in civil uniform who were accompanied by three other armed policemen. “They introduced themselves as clients,” said one of the witnesses. When the bicycle taxi driver stopped, the two policemen grabbed his bike and accused him of having breached the perimeter. After two minutes of discussion, other bicycle taxi riders intervened to support their buddy. According to one of the bicycle taxi drivers, it is the forcing by his friends that frustrated the two policemen. “One of them asked his armed colleagues to shoot the bicycle taxi driver and he was deadly shot in the back,” he says. Emmanuel Nimbona, chairman of the association of bicycle taxi drivers in Burundi says to be disappointed by the arguments put forth by the Ministry of Public Security. “We were not expecting such a reaction over such an offence,” he says adding that bicycle taxi drivers were long informed that they cannot ride through Bujumbura city. Mr. Nimbona then demands the compensation on behalf of the victim’s family. “He left behind a young family of a mother with two kids who need to be supported,” he says. Among 30,400 bicycle taxi drivers operating throughout the country including 12,400 from the capital Bujumbura, none has ever been shot. “They were only persecuted”, says Nimbona.